Printmaker: etchings, collagraphs, linocuts, and monoprints. Semi-abstract landscape and still life, based on observed patterns of light, contrast and texture. 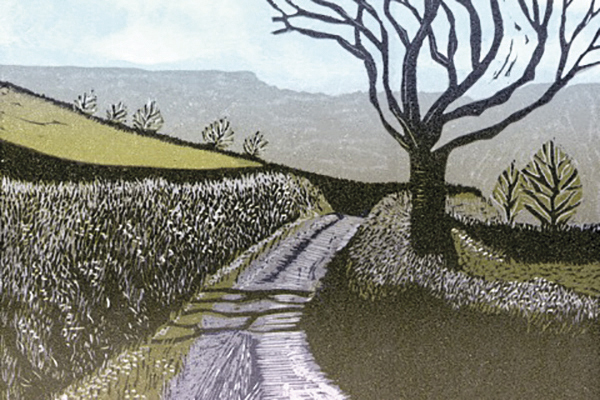 Ann offers print-making workshops in a well-equipped studio suitable for all abilities. Demonstrations at 11.00 and 3.00 both days. Ann will be exhibiting with Jane Pomiankowski. Cycle to Ann’s Open Studio with Veronica Chamberlain on 2 October. All women are welcome but it’s first come first served – spaces are limited. It’s a great chance to get some exercise, meet interesting people and enjoy the work of our local artists. Click on the link below and sign up on the website – it’s free!